The bogie for steam locomotive No. 7027 “Thornbury Castle” has moved to Williton Works, on the West Somerset Railway (WSR), as the first component to be restored for the engine. This follows on from the announcement that 7027 will receive its restoration to mainline standard at the WSR (full details of the announcement can be found here). The parts which will form the bogie have been moved from Weston-super-Mere to Williton Works. 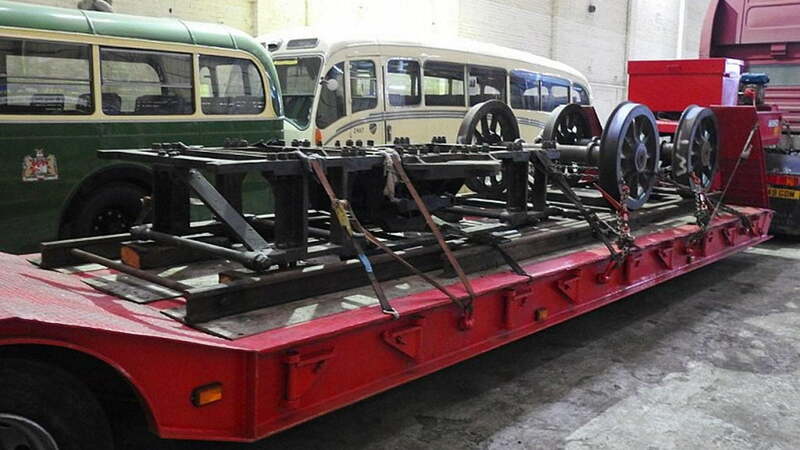 The task of overhauling the bogie for GWR Castle 7027 will be supervised by Ryan Pop, an engineer at Williton Works. All parts will undergo cleaning before they can be overhauled and reassembled, where they will be transferred back to Weston-super-Mere for storage until used to form the rolling Chassis.